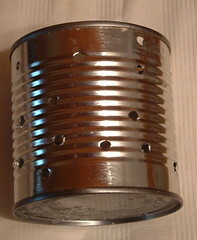 Here is a photo of a new can with the holes drilled in it to absorb the water from the bucket. 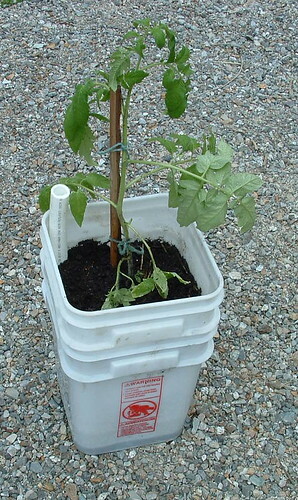 Fill the can with good soil and pack it well so it creates a wicking source for the water into the inside bucket. I got my white buckets from the local grocery store bakery for only $1 each. They are food grade buckets and safe for use in gardening. Make sure you only use food grade buckets for self-watering planters. 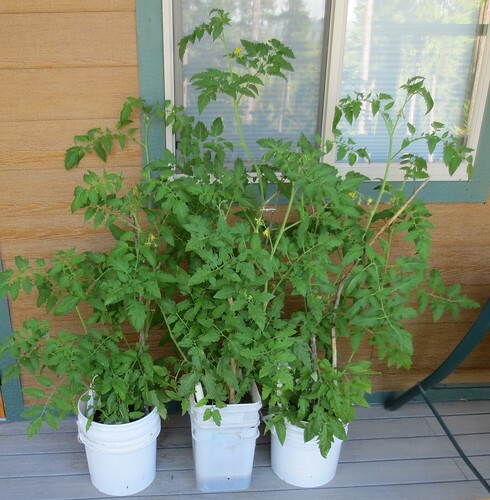 My tomato plants love my self-watering gardening containers and are just thriving. So should you have limited gardening room or just want to try your hand at container gardening, check out this useful idea of self-watering containers.